Mexican Mint Marigold, originally uploaded by trekr. 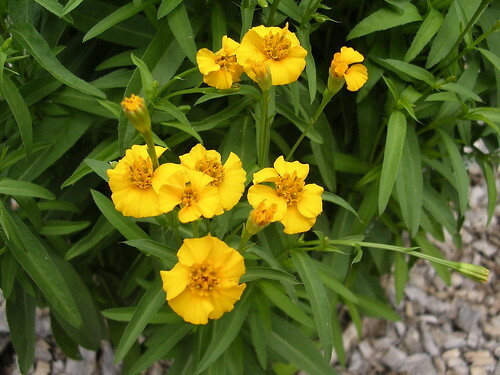 A surprise early blooming of Mexican Mint Marigold. This is a great substitute for French tarragon which cannot survive the Texas heat. This entry was posted on Tuesday, May 22nd, 2007 at 6:39 pm	and is filed under Garden. You can follow any responses to this entry through the RSS 2.0 feed. You can leave a response, or trackback from your own site.